DURBANVILLE – Durbanville is surrounded by a large farming community with beautiful natural scenery wineyards, award winning wines welcome you with hearty country-style hospitality. Wine Cellars to visit:- Durbanville Hills, De Grendel, Bloemendal, Klein Roosboom, Hillcrest, Altydgedacht, Nitida, Signal Gun, Meerendal, Diemersdal. 1-4 pax: R1100 (per shuttle) – 5-7 pax: R100.00 pp add (per shuttle) – any three, maybe four Cellars of your choice to be visited, depends on time duration. STELLENBOSCH – The beautiful and historic town of Stellenbosch is situated on the banks of the Eerste (First) River and surrounded by spectacular mountain ranges and world famous winelands. Wine Estates / Cellars to visit:- Kanonkop, Delheim, Muratie, Knorhoek, Simonsig, Remhoogte, Deux Freres, Morgenhof,Zorgvliet, Nietvoorbij, Beyerskloof, JC Le Roux, Mooiplaas, Neethlingshof, Spier, Lanzerac, Vredenheim, Stellenbosch Hills, Boschenkloof, Klein Dasbosch, Blaauwklippen, Stellenrust. 1-4 pax: R1100 (per shuttle) – 5-7 pax: R100 pp add (per shuttle) any three, maybe four Cellars of your choice to be visited depends on time duration. SOMERSET WEST – this erea is located between the Falsebay ocean and the Hottentots Holland and Helderberg mountain ranges. 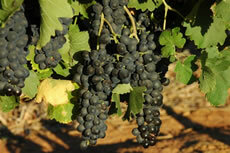 Wine Estates / Cellars to visit:- Avontuur, Yonder Hill, Kings Kloof, Lourensford, Vergelegen, Morgenster, Waterkloof, Flagstone. 1-4 pax: R400 (per shuttle) – 5-7 pax: R100.00 pp add (per shuttle) any three, maybe four Cellars of your choice to be visited depends on time duration. 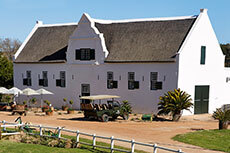 TULBAGH – Tulbagh Valley is a charming historic town with a wealth of Cape Dutch architecture. Set in a beautiful landscape, Tulbagh is famous for its heritage and magnficent country living. Tranquility is the operative word in this place of tradition, scenic beauty and majestic mountain ranges. Tulbagh’s wine route has never been more exciting. Wine Estate / Cellars to visit:- Twee Jonge Gezellen, Theuniskraal, Saronsberg, Tulbagh Winery, Blue Crane, Drosdy-Hof, Montpellier, Rijk’s, Lamberg. 1-4 pax: R2740.00 (per shuttle) – 5-7 pax: R100.00 pp add (per shuttle) any three, maybe four Cellars of your choice to be visited depends on time duration. DARLING – is a small vibrant town that is easily reached along the West Coast route. 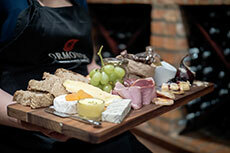 Wine Estate / Cellars to visit:- Ormonde, Darling Brew, Groote Post, Darling Cellars, Cloof. 1-4 pax: R2560.00 (per shuttle) – 5-7 pax: R100.00 pp add (per shuttle) any three, maybe four Cellars of your choice to be visited depends on time duration.